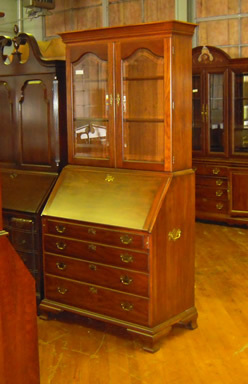 With 40 years of experience and 30,000 square feet of furniture, you've come to the right place to find premium quality new and used furniture and antiques: Delong's Furniture in Shoemakersville, Pennsylvania. We are conveniently located in Berks county, 10 minutes from Hamburg, Pennsylvania, and 20 minutes from Reading Pennsylvania. 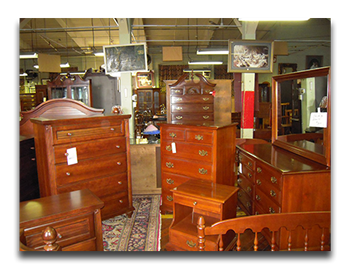 From quality American-made Henkel Harris, Ethan Allen or Kindel furniture to beautiful Tiger Maple or Mission Oak pieces that your family will treasure for generations to come, we have one of the nation's largest selections. From fine quality antiques to newly handcrafted furniture, you'll find one what you're looking for at DeLong's. Whether you're shopping in person in our huge showroom or visiting us from across the country via the web, our goal is to service you like a valued friend. With three generations of family experience dedicated to our business, you'll find our focus is on your satisfaction, with customer service that can't be beat by anyone in the business. We offer instant shipping quotes for the safe and secure delivery of your items anywhere along the east coast and as far away as Chicago. Shipping to other regions is available by special arrangement. At DeLong's, we make it possible for you to find exactly what you're looking for and if we don't have it we'll be happy to help you find it. Baker, Kittinger, Ethan Allen, Henredon, and newly added Ashley furniture are all fine quality furniture brands that you'll find at DeLong's. If you're looking for something in particular, let us know. We'll be happy to help you find it.